Soulful sounds of the wood flute, original music calling on the musical heritage of native America and Ireland. The music for this CD was created at Brian’s House, a hospice care facility in northern Michigan. Every minute of life is precious, and this is no less true during life’s final moments. Hospice seeks to help the individual, family, and friends deal gracefully with this most difficult time. Brian’s House is unique because of the love and devotion of its very special caregivers, both professional and volunteer, and it is to them that this album is dedicated. 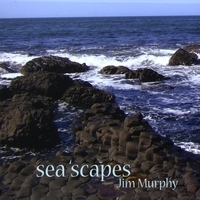 All the music on this album was composed and performed by Jim Murphy, and was recorded at Skyline Studios, Wisconsin. The instruments used were hand crafted of wood native to North America, and are similar in design to those used by the American Indian, with either five or six holes and tuned to the pentatonic scale. It is a combination of the wood, the tuning, and the special skills of the flute maker that gives each flute its unique and almost haunting sound. Each flute has its own music. Some say the sounds have healing qualities, while others believe the music helps the soul travel to a place where healing may happen. If there is healing, whatever the reason, it can only happen if we allow it. Let the music fill you; go where it takes you. All proceeds from the sales of this album go to Brian’s House. Special thanks to Ivar and Peter for sharing their talents and their efforts in turning my dream into reality. If you would like to know more about the flutes used on this CD, write to jimurph@chartermi.net.